Maggi is owned by Nestlé: seasonings are their main products. Maggi really grew on its dehydrated soups-an instant food at the start of the industrial revolution. The original owner was Julius Michael Johannes Maggi in Switzerland. In 1883, Julius Maggi produced appliances for roasting and grinding vegetables, to make flour form peas, beans, lentils, etc. enabling women to make a quick nourishing soup. His objective was to provide nutritious and flavorful meals for working class women who lacked the time ad money to prepare proper home cooked meals. Eventually in Maggi put his instant product vegetable powders on the market, under his friend Doctor Schuler’s patronage. Julius Maggi started produced first instant soup in his Kemptthal factory in 1886, followed by various kinds of soups in cubes or bags and even beef cubes in 1908. The Maggi soups and seasoning business was acquired in 1947 by Nestlé by merging with the Alimentana S.A becoming Nestle Alimentana Company. 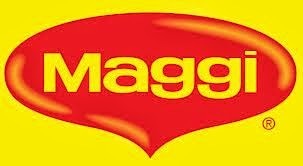 Finding its core customer aging during the 1980s and 1990s, Maggi reached out to the younger generation with meal-maker products, ready to eat foods, and frozen snacks as well as ethnic and children’s product lines.